It's Christmas in Twilight, Texas. The Cookie Club is baking, the town is decorated, and Delta Force Operator "Hutch" Hutchinson has finally, reluctantly, returned home...only to get pepper sprayed by the delicious-looking stranger who's taken over his house. She says her name is Jane, and she immediately sets down ground rules. Top priority: no touching. For Hutch that isn't easy—he was wounded in action, but one part is still working very well. Then Hutch learns the truth. Jane harbors a frightening secret—she's really Meredith Sommers, on the run from a dangerous ex-husband and desperately inn eed of the safety Hutch can provide. In that moment, he vows he'd do anything in his power to protect her. And as Christmas approaches, they discover that their love can conquer the past and overcome any obstacle—but what price will they pay? Previous to this book, Lori Wilde was a new author to me and I didn't really have any kind of expectations when I started the read, but I surely felt more than satisfied from beginning to end. Both Jane and Hutch's past and present made them very strong and independent people, so it wasn't easy for them to even think of asking for help which—even if for different reasons—they certainly needed. Of course, their situations put them in no other position than to find an agreement and try to rely on each other, but secrets and issues called for some ground rules. The 'no touching' one may have proved to be quite the challenge, but the characters' strength was admirable and their relationship development overwhelming. 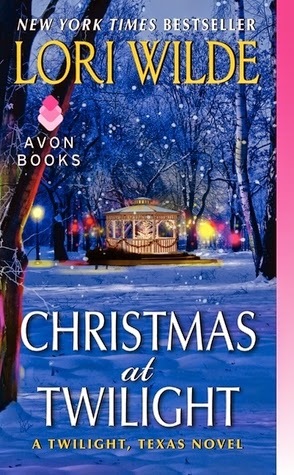 With a very good dose of romance, drama and suspense, "Christmas at Twilight" is much more than a Holiday read. I'm definitely looking forward to read more from this author.